Machine learning has been around for a while, with the earliest techniques developed in the 1950s. It is currently enjoying a particularly high profile, thanks to a whole range of possible applications from self-driving cars through to Go-playing computers. But what exactly is it? 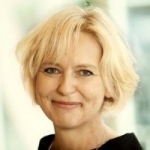 I’ve just finished diving into Josefin Rosen’s blog post, a description of how machine learning makes for a smarter life, and asked her to put ML in context. Welcome to join my discussion with Josefin. There is quite a lot of confusion about the differences between machine learning, cognitive computing and artificial intelligence. Is there an easy distinction? Josefin Rosén (JR): I think the easiest way of thinking about it is that machine learning is basically a subfield of artificial intelligence. Then you can think of cognitive computing as artificial intelligence plus elements of natural language processing. So cognitive computing understands input like text, voice and video, and it can reason and create outputs that can be used and consumed by humans, not just computers. So machine learning is part of artificial intelligence, which in turn is part of cognitive computing? JR: Yes, that’s my view. In practice, there is widespread agreement that machine learning is part of artificial intelligence. For instance, I have seen the two described as father and son. But there is rather less agreement on how cognitive computing fits in, perhaps because there is rather less agreement on what cognitive computing actually is! To my mind, it’s the overarching link, the one that takes input from multiple different techniques, including machine learning, and starts to use it in a very human-like way. Why is there no widely-agreed definition of cognitive computing? JR: I prefer to think of it as ‘still evolving’! The field is moving so fast that just as you think you’ve got it defined, new capabilities are possible. But in a broad sense, we have a reasonable understanding of what it means, and how it fits together, and particularly that cognitive computing adds the potential to understand language, which brings another dimension. And how does Deep Learning fit in? JR: Deep Learning is a form of machine learning which some commentators suggest is changing the whole way that we think about cognitive computing and artificial intelligence, because it is so effective. For example, you could consider that machine learning, in the form of deep learning, is artificial intelligence. In other words, what went before was just good programming, not artificial intelligence. You could think of this as relying on the programmer’s intelligence, rather than the computer’s. New Deep Learning systems have much less code, but are able to learn for themselves because you give them the information that is really important for the job. The key seems to be that they don’t try to model everything, but just model how the mind works, in the form of a ‘neural network’. So the big difference is the ‘human-ness’ of cognitive computing? JR: Yes, that’s right, and therefore the ability of cognitive computing systems to do things that previously only people could do, and without human input. As Colin Gray said ‘assisting humans without humans assisting’. For instance, large retailers are using cognitive computing and machine learning to improve demand forecasting. Their computers are mining huge amounts of data to generate insights without people being involved at all. 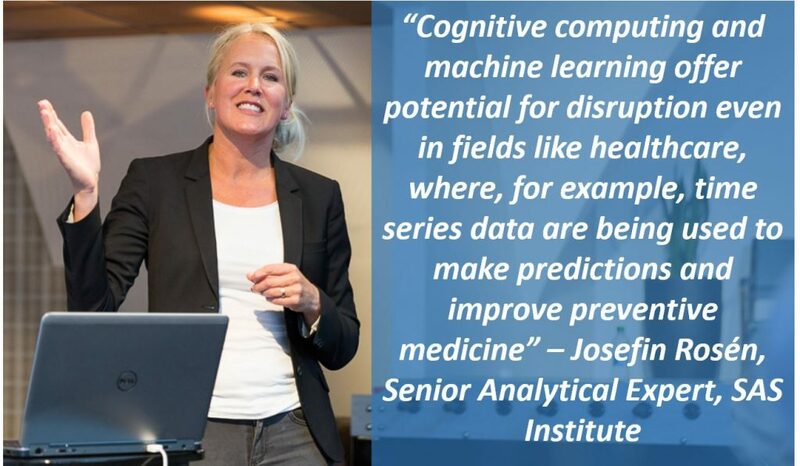 Cognitive computing and machine learning offer potential for disruption even in fields like healthcare, where, for example, time series data are being used to make predictions and improve preventive medicine. Is this the stuff of science fiction? Machines taking over the world? JR: Well, it may sound like it, but no. Cognitive computing systems are able to perform tasks in a human-like way, but only very specific tasks. For instance, you might use a neural network to teach a computer how to play a game, and it will get very good at it very quickly. But that’s all it knows how to do. A system designed to do one thing can’t then start to do another. They’re clever, but not that clever! Passionate about business value of IT and innovation, Looking for new insights on analytics, data management and how this can make a difference with business processes in especially the industries as Manufacturing, Energy, Utilities and Life Sciences.